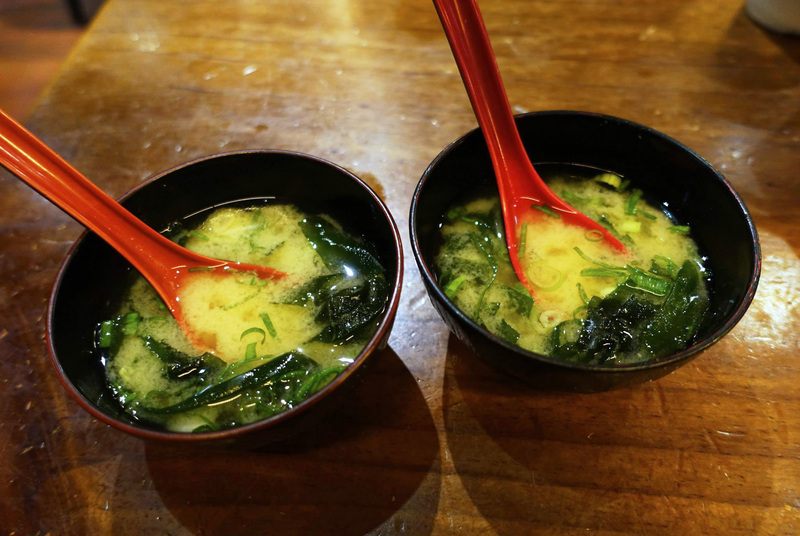 Manmaruya is a cosy little Japanese restaurant on the main street of Campsie. 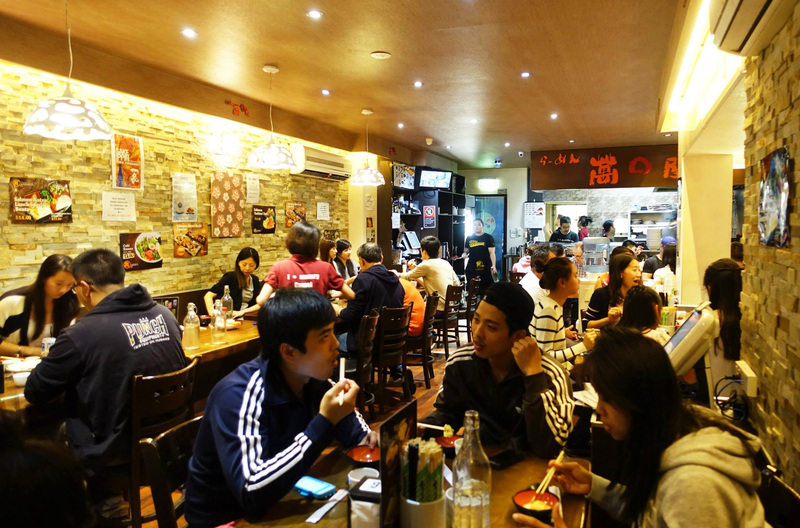 The restaurant is quite popular with the locals and for good reason too, the restaurant serves delicious reliable Japanese food at a price point that’s hard to beat anywhere in Sydney. All of us decided that we would order a sashimi platter and share, the choice of fish consists of Kingfish, Tuna and Salmon and was hard to refuse. The platter also came with a few scallops, prawns and oysters. I ordered the karaage don as it had been weeks since the last time I had a good piece of karaage. I was definitely not disappointed by this choice, the chicken was very crispy and quite delicious. I wasn’t the one to order this particular dish but I was told that the prawn tempura udon was a good pick, very filling and it looked like a lot of food to me. I liked that there was an egg on top! Overall I definitely enjoyed the meal at Manmaruya. 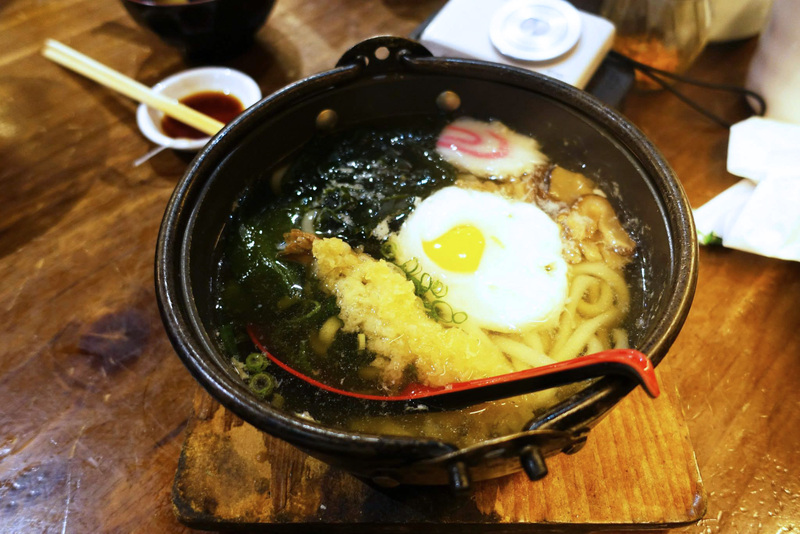 The restaurant is well laid out and the service is as expected, the best part is that the food is very decent and consists of relatively large servings. 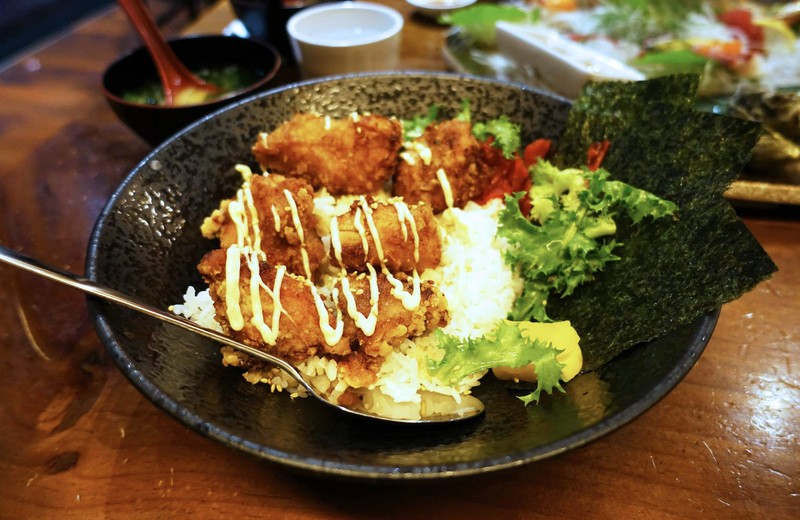 A good neighborhood Japanese joint is a must! Definitely looks like this fits the bill in Campsie. Quite good-looking tasty food for a reasonable price. Especially, it’s Japanese! Ditto Suze, hectic platter there! 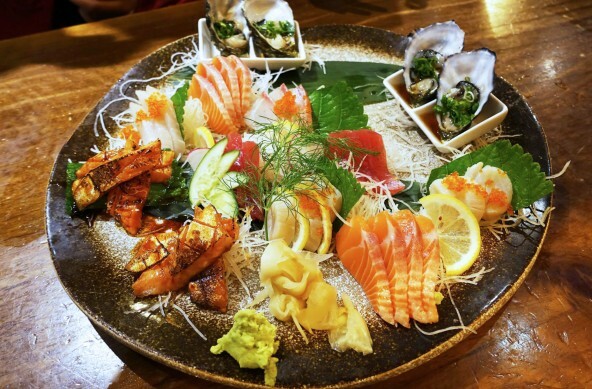 that sashimi platter looks awesome!